Please help Zeebo by sharing this page! 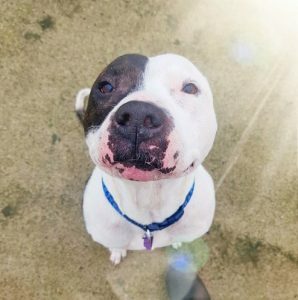 Good Boy Zeebo came into the care of Freshfields Animal Sanctuary in Liverpool because his family’s new landlord didn’t allow pets. He grew up with small children and has a loving, placid nature. He’d be happy living with youngsters from age 12. 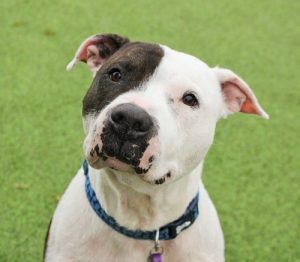 Zeebo is good with other dogs and could live with a compatible dog in his new home. He was even gentle towards the family hamster but has never been around cats. 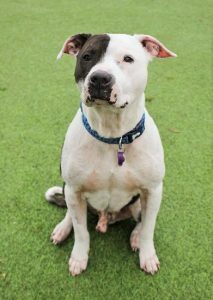 Zeebo has suffered with a skin problem for most of his life and was in a bit of a sorry state when he first arrived at the rescue. He was so uncomfortable and miserable that he barely wagged his tail. The vet felt that the skin problem was a result of untreated Demodex, which is very common in Zeebo’s breed. He is currently receiving all the treatment that he needs and has made fantastic progress. He now has a new lease of life! He bounds around the exercise field and has started to play with toys. Zeebo will require a hypo-allergenic diet and may need medication on and off for the rest of his life. 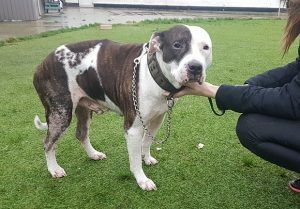 Please do not let this deter you from offering this amazing boy a home, skin conditions are easy to manage once you’ve found the right treatment. Zeebo has undergone surgery for a luxating patella in the past and although this is causing him no issues now, he is having joint supplements daily to make sure all’s well. 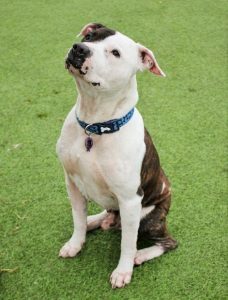 Zeebo is a lovely, gentle boy and really friendly with everyone. He just wants to place his head on your lap for fuss and cuddles. In the home, he’s ever so well behaved! He’s clean, non-destructive and happy to be left alone for a couple of hours. He also travels well in the car. He’s altogether Very Good! Please say you saw Zeebo featured on the Oldies Club website. This replaces Zeebo’s original page dated 1st December 2018.